Eight years ago the members of Mountain Operations Center of San Antonio de los Cobres, Salta, adopted a dog that lived at a school in the area, and christened Cabo (Cape). The animal was coming every day to the Surveillance Detachment that city in search of food and even walked alone, he had an owner. In fact every afternoon the man appeared to look but one day realized that Cape did not want to go with him. Cabo became one more of the barracks. 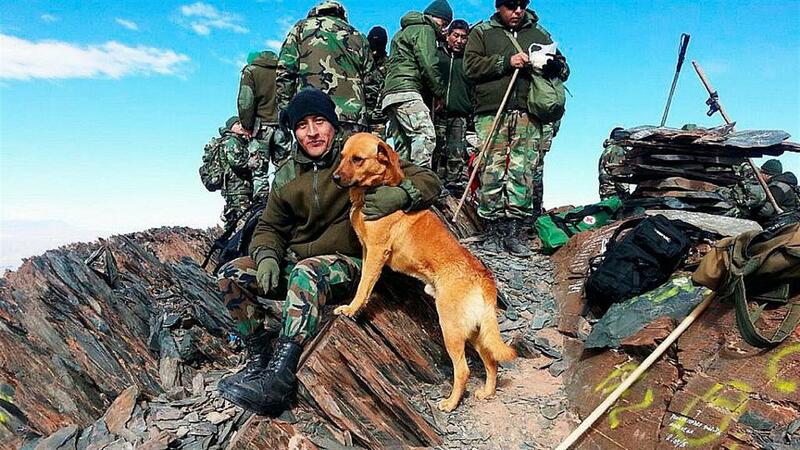 He climbed over a hundred times the mountain (up to peaks over 5500 meters above sea level) in different campaigns and can distinguish between an Andean civil patrol medium and the Argentine Army. 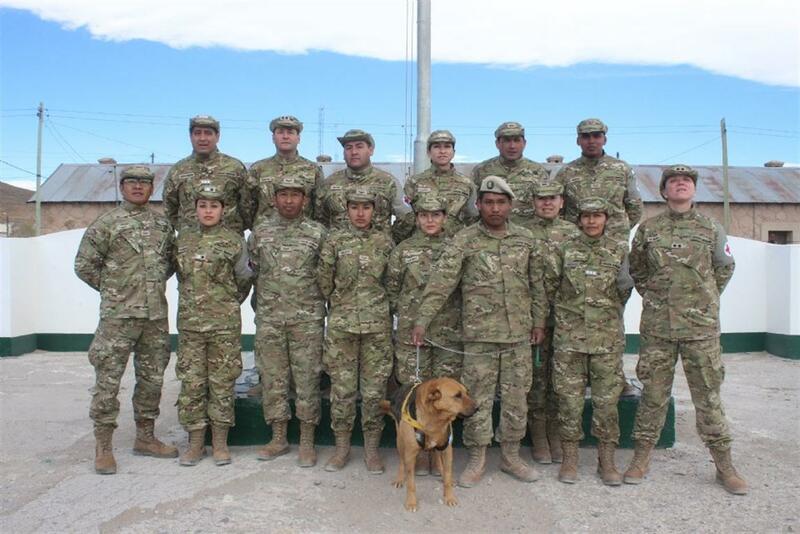 "He always rises to the military trucks also is a very timely canine. It is always ready to embark, regardless of the schedule, bound for a new adventure in the mountains" feature on the official website of the Argentine Army. For all this they decided to grant a promotion: now is Sgt. The regrade the pet was in the framework of a ceremony presided over by the commander of round. Mountain Brigade, Colonel Juan Manuel greater Pulleiro, who put him to Cape symbolic degree in the presence of hundreds of men. Then the dog paraded through town with his fellow brigade.